Puppy wallpapers can make cute backgrounds for your computer screen. Of course, you could upload your own images to use as wallpaper, but you'll find an adorable selection of cute puppy images in the following pages that you can save as wallpaper if you like. Begin with this adorable little Bulldog pup. This little Lab looks all tuckered out, but he'd still make a nice background on your desktop. This adorable Yorkshire Terrier pup looks like she's ready for the show ring. She'd also look great on your computer screen. Who could resist the sweet puppy face of this little Golden Retriever? This innocent German Shepherd puppy would make a nice background during the Autumn months. 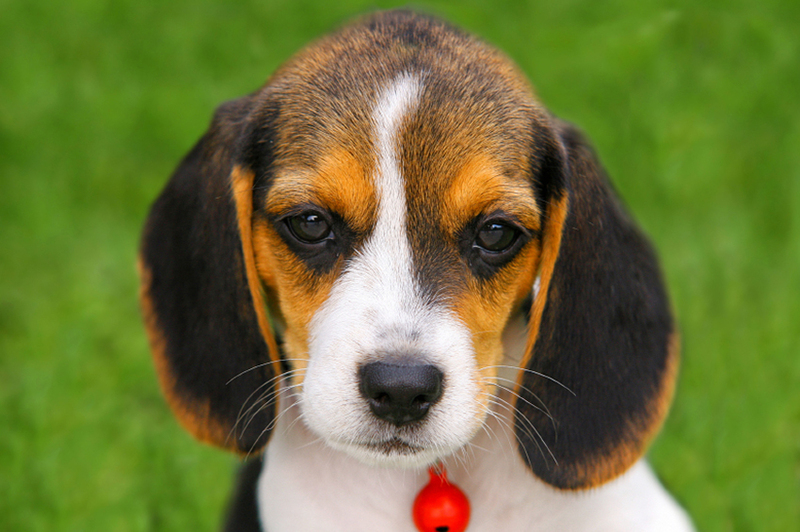 Here's a Beagle pup who'll remind you that all work and no play makes for a dull life. Double the trouble, but double the fun. Try out these two funny Boxer pups on your screen. This cute little trio of Dachshund pups is bound to draw attention to your desktop. It seems like everyone loves Poodles, so maybe this little fellow would make stylish wallpaper for your laptop. If you can't snuggle a cuddly Shih Tzu puppy, at least you can look at one. Need to see more great dog images? Visit English Bulldog Pictures, French Bulldog Pictures and Pictures of Welsh Terriers.